One problem with many short-term trips is how we plan and promote them. Not infrequently churches promote short-term trips by talking about the good of getting “missions experience” or the opportunity “to make a difference in the world.” Prior participants tell potential short-termers how a trip positively impacted or even revolutionized their faith. I don’t doubt this, but it often seems that our short-term trips can be more about us and our experiences than about encouraging gospel work and glorifying God. Such a misdirection is no small matter. It’s often been said that “what we win people with is what we win them to.” If we promote short-term missions based on thinking about our benefits, we run the risk of making short-term missions a selfish enterprise. With that said, should we just scrap all short-term trips from our churches? No. But many churches may need to give serious thought to reforming them in ways that mitigate frequent pitfalls. Where that is done, short-term trips can be a significant aid and encouragement to long-term gospel work, as well as a blessing to the individuals who go and the churches that send them. This necessary change starts before anyone gets on an airplane. It starts with how we think about our goal for a short-term mission trip. Whom do we really intend to benefit most? Here’s a big hint—it shouldn’t be ourselves or our churches. From the very beginning we should decide that every short-term trip will aim to benefit the work of long-term missionaries and local believers. Most simply, this means building relationships of trust with people in a place where we hope to labor. It also means asking them what, if anything, they want us to do and, whenever possible, doing exactly what they ask. Again, this is why churches should focus their financial support on missionaries whom they know and who are doing good work aimed at church planting or strengthening. We want to send short-term workers based on the same criteria. Normally this will involve sending most, if not all, our short-term workers to serve people we already support. It might result in our churches taking fewer short-term trips, but the trips taken would much more likely be useful. How do we prepare short-term trip participants to serve well? Here are ten points that any participant in a short-term trip should consider. 1. Be focused on God’s glory among the nations. God is great. He is infinitely worthy to be praised for all the excellences of his nature. In his unfathomable love, God has chosen to glorify himself by showing mercy through Christ to sinful, self-glorifying rebels like you and me. This truth should fill our hearts with wonder and praise (Rom. 15:8–10). As simple as it may sound, one of the best things you can do to prepare for a trip to support overseas workers is to think deeply about God’s greatness and his amazing mercy in the gospel. God deserves to be praised among the nations, and he will in fact be praised and delighted in (see John 10:16; Rev. 5:9). There is nothing like a big view of God’s glorious global plan to put our individual concerns and contributions in an appropriately smaller perspective. We have been redeemed by the One who “humbled himself by becoming obedient to the point of death, even death on a cross” (Phil. 2:8). It would be a tragedy of immense proportion, then, if we should approach our work for him with even a hint of arrogance. Instead we should be humble. We should defer to the field staff, and even to one another, in love. We should be slow to speak. We should not think too highly of ourselves but be quick to serve. Let the aroma of Christ’s humility be evident in everything we do and say. 3. Be prepared to spend yourself and be spent. Work overseas, with jet lag, and in a strange environment is tiring. Expect to spend yourself to encourage and help your church’s workers. And expect to feel like you have been spent. Of course, this may not always be fun, but when you feel tired, think of why you are tired. It’s the tiredness of extravagantly devoting ourselves to the kingdom of our Lord. Let even your weariness remind you of the worth of the gospel. Remind yourself that your ultimate goal is not to execute some task but to encourage men and women who have left much for the sake of the gospel. We will often best encourage them by doing whatever they will find most encouraging, even if it’s different from our preferences or plans. Part of humility is realizing that you don’t know everything and being ready to ask questions and learn. Don’t assume that because you know how to do something well at home, you know how to do it well in another context. Honor those who live in the culture by asking questions and being ready to learn from them. Even if we don’t know much, there are some things of which we can be absolutely certain. God is good, and he does whatever pleases him (Ps. 115:3; John 10:11). These two truths are the twin pillars of Christian confidence—God is good and God is Lord. Remind missionaries of these two truths in hundreds of different ways. Talk about your own delight in God’s kindness and his control. By doing this you will bless missionaries and shore up the foundation of their confidence in their work. If we really understand this reality, what is there to worry about? 7. Be extravagant in service. We are told to partner with those who have gone out for the sake of Christ’s name by supporting them in a manner worthy of God (3 John 5–8). Be ready to care for your workers extravagantly, even beyond what seems reasonable. Be ready to do that in a manner “worthy of God” himself. This will show not only that we value them as individuals but also that we supremely value the great gospel they carry. It can be hard to avoid falling into “I’m a tourist—serve me” mode on trips like this. Many workers tell me stories of folks who come to “serve” them only to demand to be entertained, helped, and served. We are often surrounded by amazing places while overseas, and it’s totally reasonable to want to enjoy our time so long as it doesn’t create an added burden for those we say we have come to serve. Be vigilant about that. Be ready to forgo things you might enjoy in order to serve those you’ve come to bless. Hopefully you’ll find great joy in this, no matter what else you are able to do. By our patience we show tangible evidence of gospel-saturated humility. When we must ask for something to be done or fixed or explained by mission workers, be patient about their responses. Travel in many countries can be frustrating and inefficient. Many cultures will move at a different pace from our own. And requests that we think are simple can actually take a lot of work on someone else’s part. Again, this is one great way we can serve one another and our workers—by being patient and trusting in God, even when things don’t move at the pace we prefer. 10. Be focused on God’s glory among the nations. Of course, all these particulars are just a few applications of the one, central truth with which we began. God is glorious and worthy to be praised. His promise of forgiveness, redemption, and fellowship is worth more than anything else we can have or imagine. The point is not to learn these few simple rules. The point is to look deeply at the gospel and then find ways to apply implications of the gospel to our experience overseas. Saturate yourself with thoughts of the grace given in the gospel, and let that overflow into your words and deeds. If you do that, I’m pretty sure you will be a Christ-glorifying blessing on your trip and in every other aspect of your life. 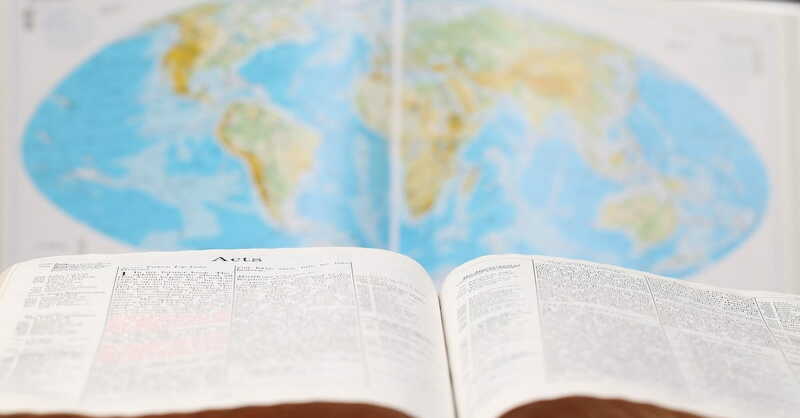 All this may require adjustments in how some churches think about short-term missions. For others it may require a wholesale overhaul of short-term work. But if this sounds like a biblical approach, if it smells of Christian humility, and if it seems wise, then why wouldn’t you make the change? It may mean disappointing some members who have grown attached to less useful kinds of trips. You will certainly want to be wise and gentle in making changes. But given the amount of money, time, and trouble that go into short-term trips, surely we should think carefully about making them genuinely useful. Isn’t that what we ultimately want? 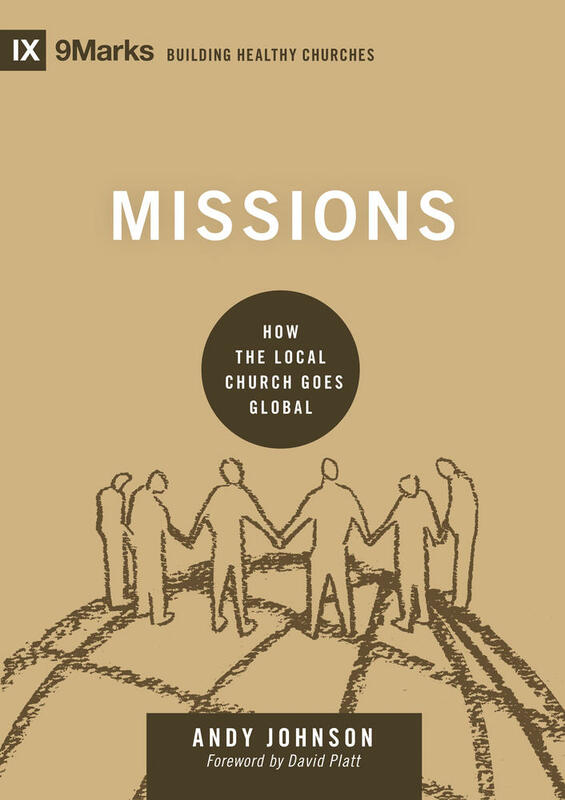 This article is adapted from Missions: How the Local Church Goes Global by Andy Johnson. Originally published on Crossway.org. Used with permission.